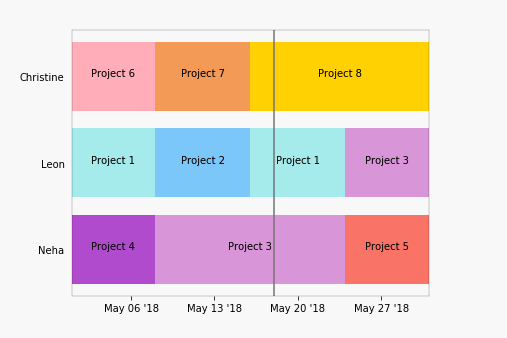 While some users like showing Gantt charts that allow overlapping dates (see community post here), many would prefer a visual that clearly shows individual work streams, especially in organizations where members are focused on one task at a given time. Now let's say we accidentally double booked one of our team members. 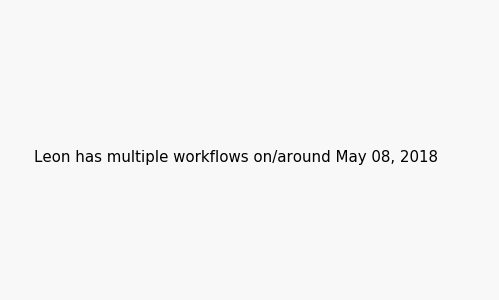 This chart will give us a warning so we can go back and correct the team workflows! Here's the Python Code that generates the above chart, complete with error handling.